What can I say about The Red Tree House that hasn't already been said? They are consistently highly reviewed by guests, and with good reason. It was the first place we stayed, of what became an extensive list of B&Bs, during our "around-the-world" travels. 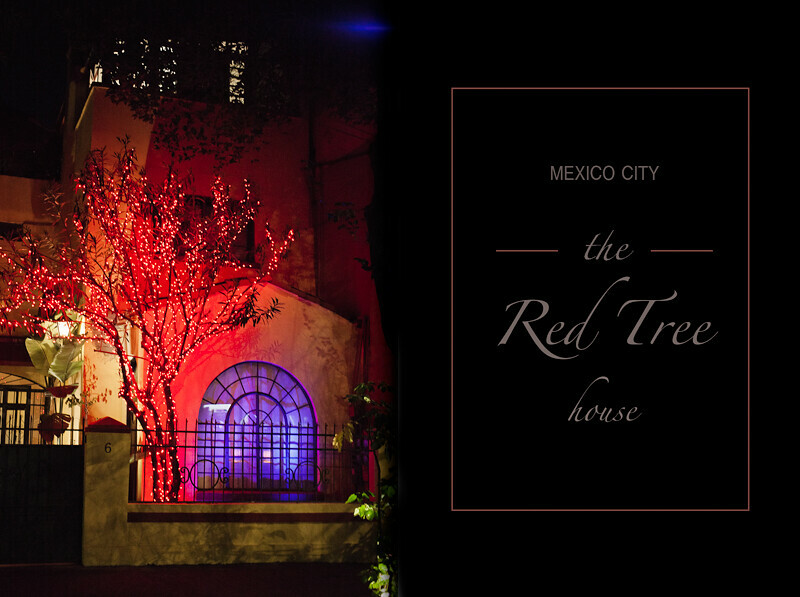 The Red Tree House sets the bar high. 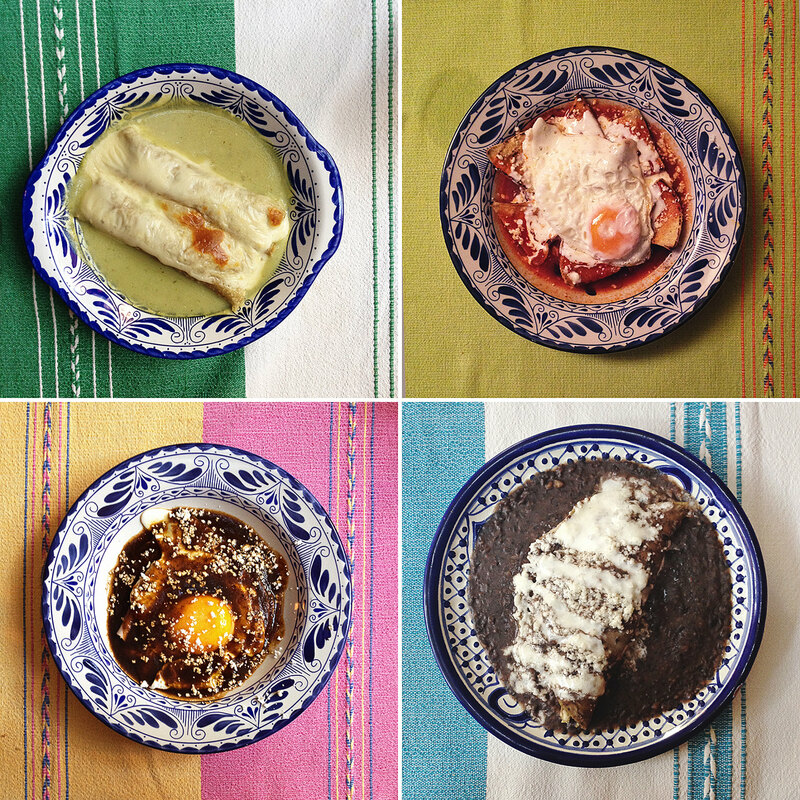 Every morning you're greeted with a fresh, authentic, home-made, hot breakfast - Mexican style. If they had their own restaurant on the premises, I honestly wouldn't leave because it's that good. If nothing else, you have to go here for the breakfasts. So as not to exclude less adventurous folk, they also have fresh fruit, yogurt, cereal, croissants, churros... you name it. We've talked to so many different travellers from all over the globe at the breakfast tables. Exchanging travel itineraries with others is a great way to start the day. 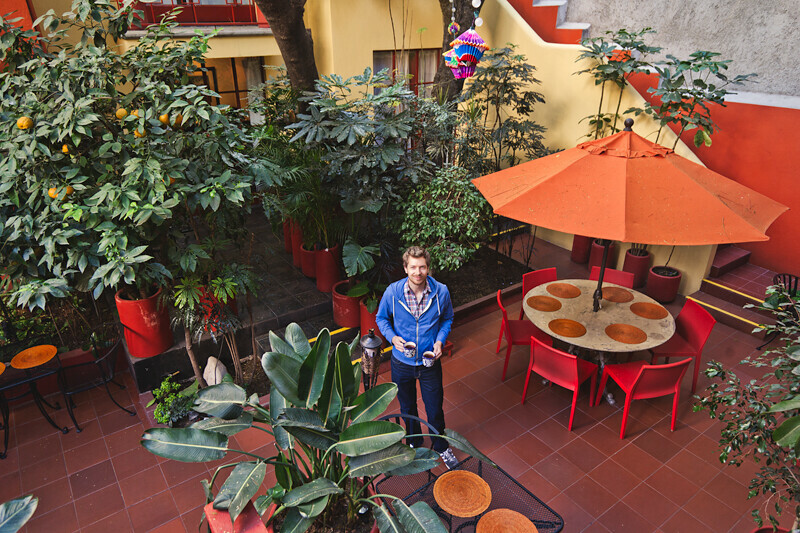 If you're not a social butterfly, the staff at The Red Tree House is always equipped with maps, tips, and ideas of how you can spend your day. As I've previously mentioned, we chose to go back here because we didn't have to do any planning whatsoever. After a long day on your feet, in the sun, you return to a dimly lit, cozy space. A player piano sits in the corner and the wine is flowing. Alcohol and I broke up a long time ago, so I'm content with a chamomile tea, while going over the day's stories with your new BFFs (for the few days you're there, anyway). Since the last time we were there, they've expanded to include another property, across the street. 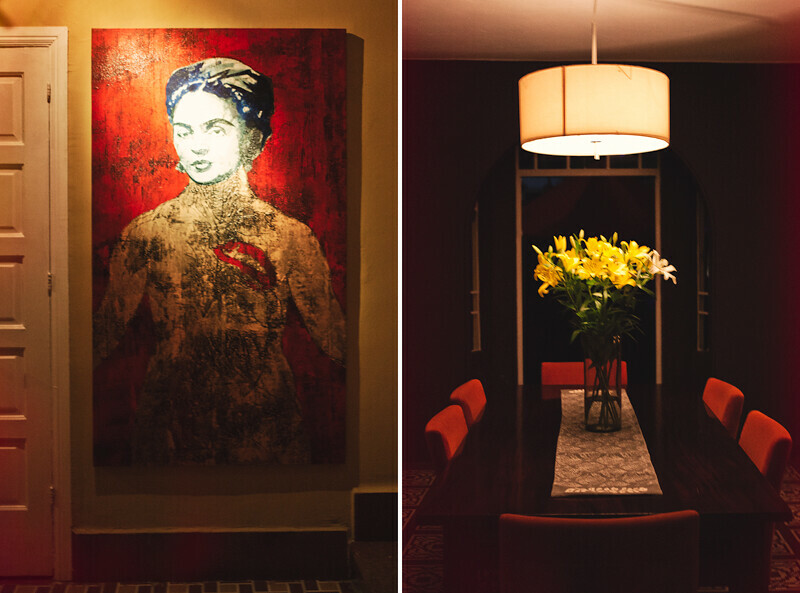 It is as impeccably decorated as the first house, with stunning, local artwork. You almost feel as if you're in an art gallery. Carlito Dalceggio is a friend of The Red Tree House and his mesmerizing murals grace many of their walls. 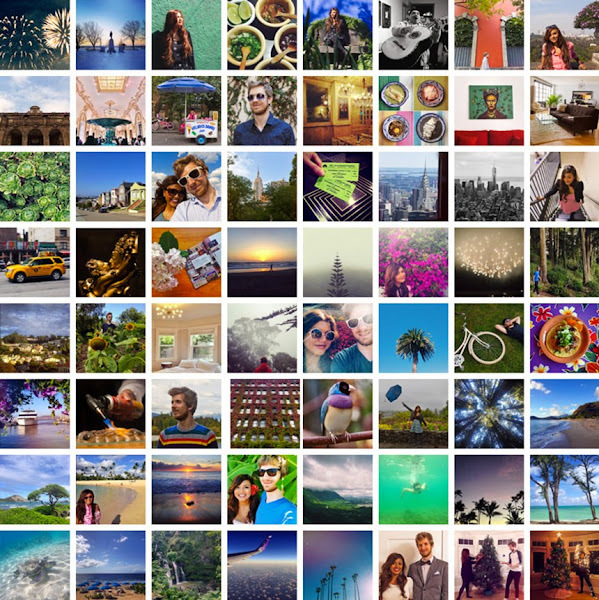 It's tough not to wax poetic about a place that gives you so many great memories. The beautiful people at The Red Tree House helped make my birthday a night I'll never forget. I've said that I don't care to re-visit places, but I have a feeling we'll be back. Wow! I need to get to this place stat! Mmm... there's nothing quite like savory Mexican breakfasts. Would love to stay here one day! Looks beautiful. looks like an amazing place to stay. 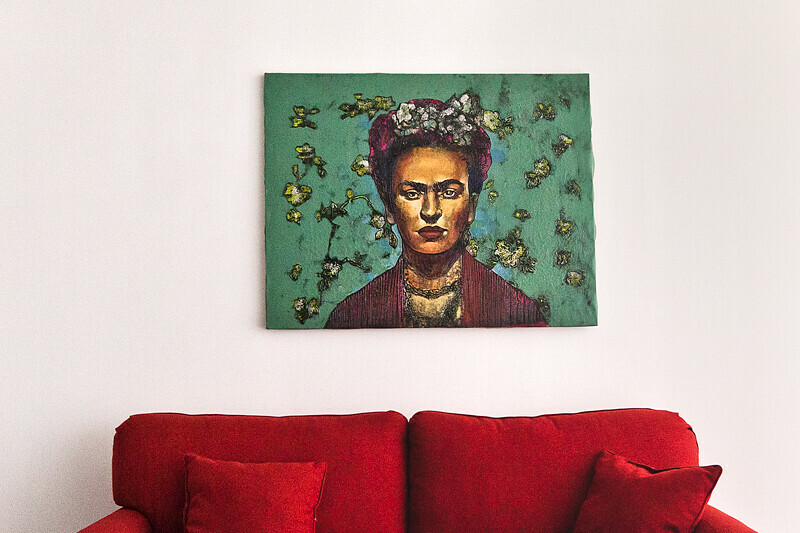 love the frida kahlo decor. happy belated birthday! I wrote this place down on my "places I must stay at" list when you first mentioned it long ago. Still looks amazing!